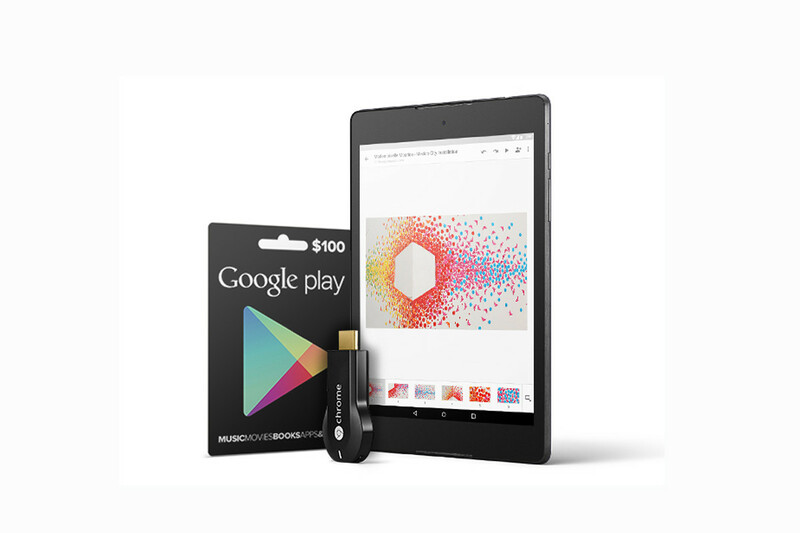 The Google Gadget Giveaway – Win a Nexus 9, Chromecast and $100 of Play credit! As the name suggests, Google’s Play Store is full of fun. We’re giving away a bundle of the best stuff it has to offer — a Nexus 9 tablet, a Chromecast stick and $100 of credit to spend. For the unacquainted, the Nexus 9 is Google’s largest tablet. It has an 8.9-inch IPS screen, with a crystal-clear resolution of 2048 x 1536 pixels, and a 2.3GHz processor that makes Android move at speed. The Chromecast lets you wirelessly stream media, such as Netflix and YouTube, from your tablet (or other Wi-Fi device) straight to your TV. To make the most of the hardware, we are also throwing in $100 of credit to spend on apps, movies, music, books or anything else you fancy in the Play Store. For your chance to win, head to the link below and hit the green button to create an account and claim your entry. To improve your odds, simply share your entry with your friends. Best of luck!